Yes, I acknowledge that this title is too long for a recipe. However, these are all of my favorite things, and I made them into a healthy casserole. I feel that this should be celebrated. You can’t just leave a key ingredient out of the title. You might hurt its feelings!! Life gets really busy during the week between work, exercising, spending time with your family, errands, walking your dog, etc – I get it. For me, I always eat the worst when I’m desperate – need to eat now = order pizza. Now I know YOU’RE not like that…. This bowl can solve all of your hunger problems. Choosing dishes that can be made in a large quantity is a great way to make sure that you always have food readily available when life gets busy. Personally, I like to cook a big dish on Mondays (like this casserole for example), and then I don’t have to worry about dinner for Tuesday or sometimes even Wednesday. This recipe is super savory, and tastes just like delicious comfort food – except without the gluten, sugar and processed ingredients! 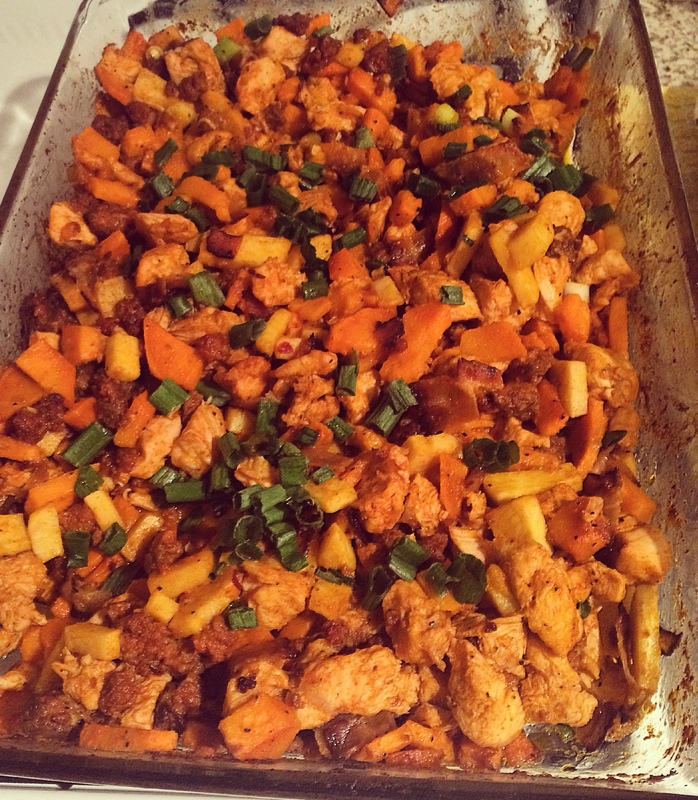 I originally found it here, and then added the chorizo along with a few other small tweaks. 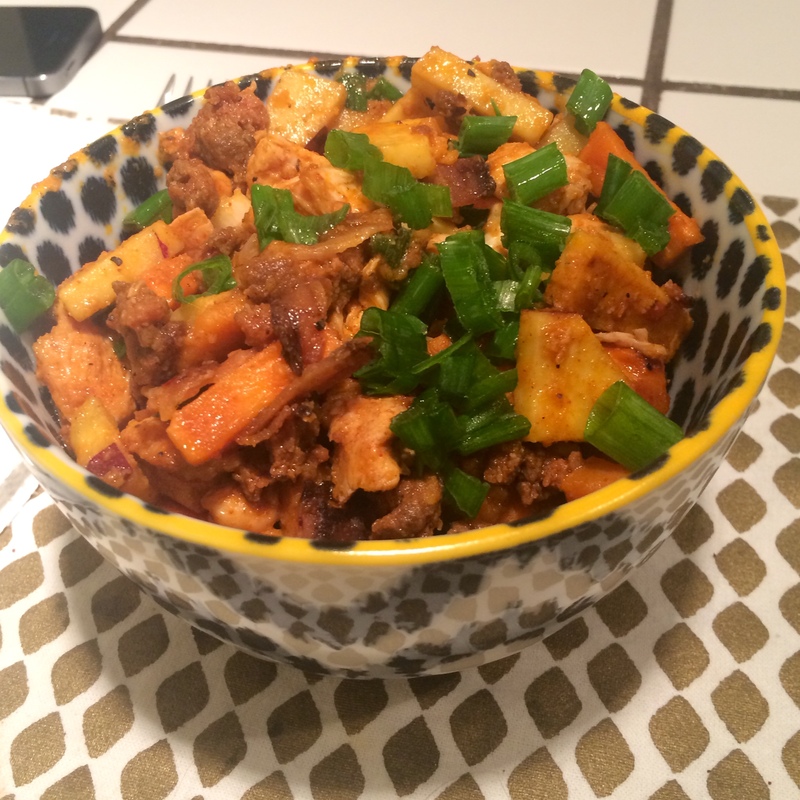 While your oven is preheating, brown your chorizo & fry your bacon if you haven’t already. 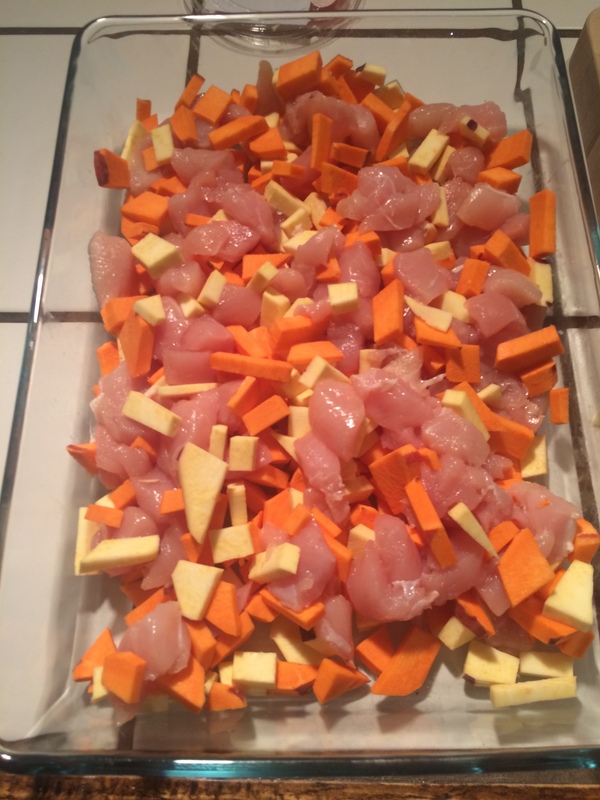 In a large casserole dish, add the diced sweet potatoes and cubed chicken. 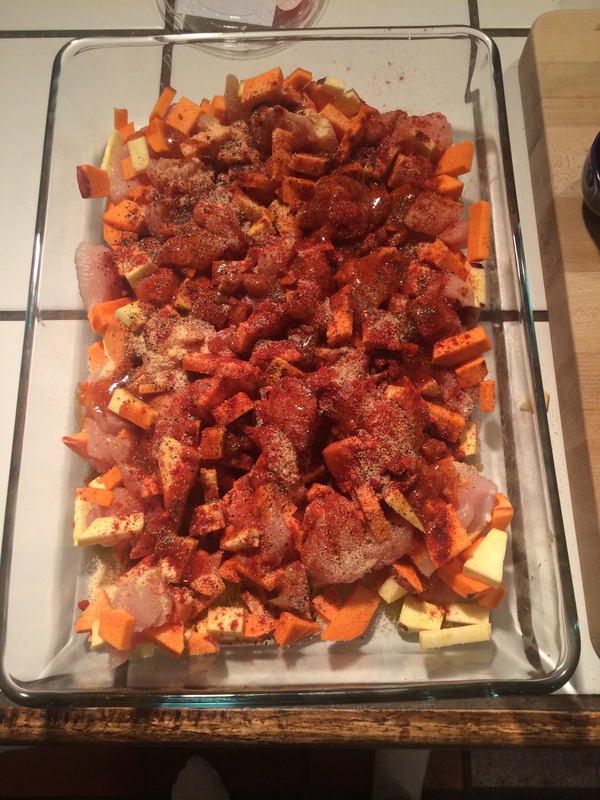 Over the sweet potato/chicken mixture, pour the olive oil, paprika, garlic powder, hot sauce, and season with salt and pepper to taste. Adding the ingredients straight to the baking dish means not having to wash an extra mixing bowl. That is a win. Mix up with your hands to make sure everything is fully coated. Remove the casserole from the oven, and add the green onions, chorizo and bacon to the dish. Place back in the oven for another 5-7 minutes to let all the flavors combine.